Each day, telecommunication brands receive an onslaught of social posts from current customers, potential future customers, and disgruntled former customers. While most major businesses have developed robust social customer care centers to handle the wide array of incoming issues, few are capitalizing on all the many ways that social can support their business. In the following Brandwatch report, we analyze the online presence of 25 major telecommunications businesses. 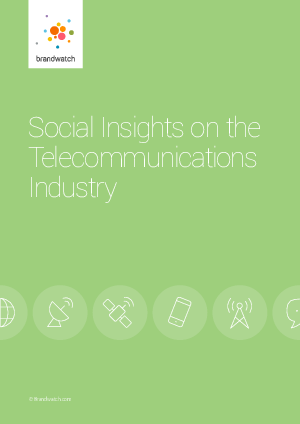 The report includes the Telecommunications Social Index, which ranks 25 brands across 5 criteria, analysis of brands social customer care services, and research on customers’ intent to purchase services from specific telecommunication brands.